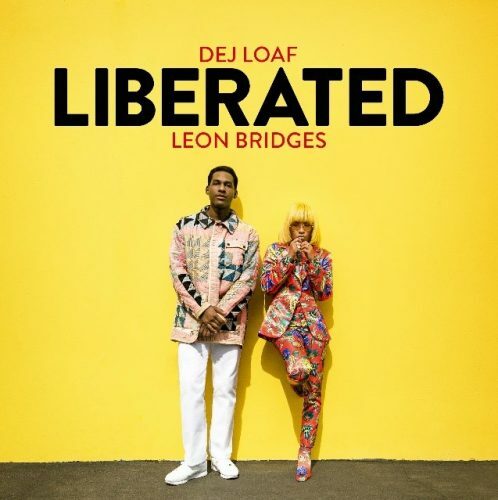 Columbia Records recording artist, DeJ Loaf, releases uplifting new song “Liberated” featuring Grammy nominated label mate Leon Bridges. The title track from her forthcoming Columbia debut album finds DeJ confidently rapping over an uptempo beat, anchored by a hook from Leon Bridges, who sings in a higher register than audiences know him for. Listen to the song here. Calling “Liberated” her “favorite record of her career,” she’s also unveiled a colourful video that pairs DeJ and Leon with a mosaic of culture-movers from all walks of life. Artfully shot, it opens with personal testimonials inspired by the “liberated” theme of ‘what makes us different truly does set us free.’ Helmed by director Calmatic (who’s worked with Anderson Paak, Khalid, and others), “Liberated” showcases DeJ’s and Leon’s empowering chemistry as it movingly captures a variety of people bopping to the song’s themes of liberation and joy. Watch the video here. Fans will have no issue seeing the video as it will premiere on MTV Live, mtvU, BET Soul, BET Her and BET Jams beginning at 6am ET and will continuously be played throughout the day on all channels. The song’s universal message makes it clear that DeJ is calling upon all her fans to celebrate with her: ‘If you feel free, you should lift your hands.’ The track was produced by Grammy nominated producer/songwriter Ricky Reed (Meghan Trainor, DJ Snake, Jason Derulo), and written with Teddy Geiger (Shawn Mendes, 5 Seconds Of Summer, One Direction). DeJ has also launched a compelling content hub PeopleGetLiberated.com that embodies the song’s all-inclusive aesthetic and offers a playlist curated by DeJ and Leon, Sounds of Liberated People. The content hub features the definition of the word liberated in multiple languages and testimonial videos from people championing the theme, including cast members from the clip all answering the question: What Does the Word Liberated Mean To You? Fans will also be able to visit and contribute their own personal definitions. Check out the new site here. DeJ has served up previous tracks from her upcoming debut album including the feisty “Big Ole Boss” produced by Atlanta production icon Zaytoven, and the melodic confessional “No Fear,” produced by Christoph Andersson, which cracked the Top Ten of Billboard’s Rhythmic Song chart. The 27 year old Detroit native has had a notable rise in the hip hop world, bursting on to the scene with “Try Me” in 2014, now certified Gold. Other career successes quickly followed including her single “Back Up” being certified Platinum, garnering over 500 million streams combined, a MAC Cosmetics campaign, opening for Nicki Minaj on Minaj’s stadium Pink Print Tour, appearing as the breakout cover star on the 2015 XXL Freshman issue and nominations for multiple BET Awards including Best Female Hip Hop Artist, Best New Artist and the Coca-Cola Viewers Choice Award. DeJ recently performed both weekends of Coachella 2018.